Ljubljana by Wheelchair - wheelchair accessible locations in Ljubljana, Slovenia. All wheelchair accessible locations in Ljubljana, Slovenia. Ljubljana by Wheelchair is an app, covering the needs of wheelchair user tourists. App is user friendly, easy to use, and enables a simple search of relevant touristic information about Ljubljana for a wheelchair user. Now you can finally use your time to explore the city, not waste hours and hours just for planning. 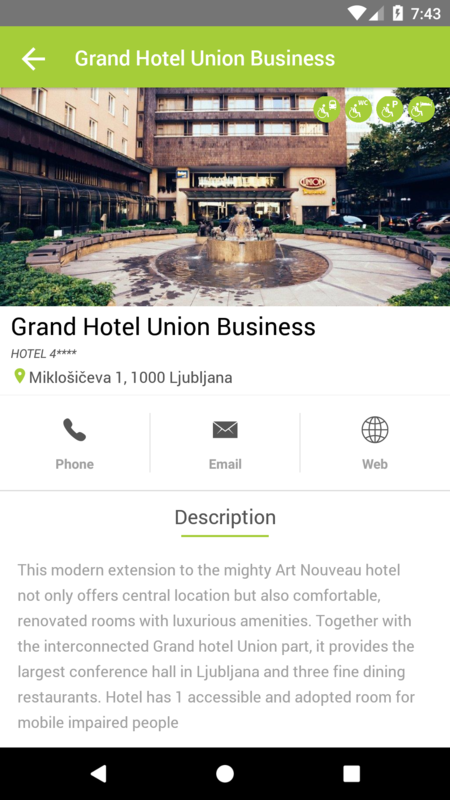 The app is supported by and developed in association with the local tourist organization Zavod Turizem Ljubljana. App offers categorized search of accessible locations. You can search by: Sleep, drink, eat, see, do, shop and toilet. Inside each category there is a list of all the accessible locations (for example all restaurants in the category EAT). By clicking on a specific restaurant you can check its basic information, and accessible symbols. Do you think that due to wheelchair you are not able to experience Ljubljana like other tourists? 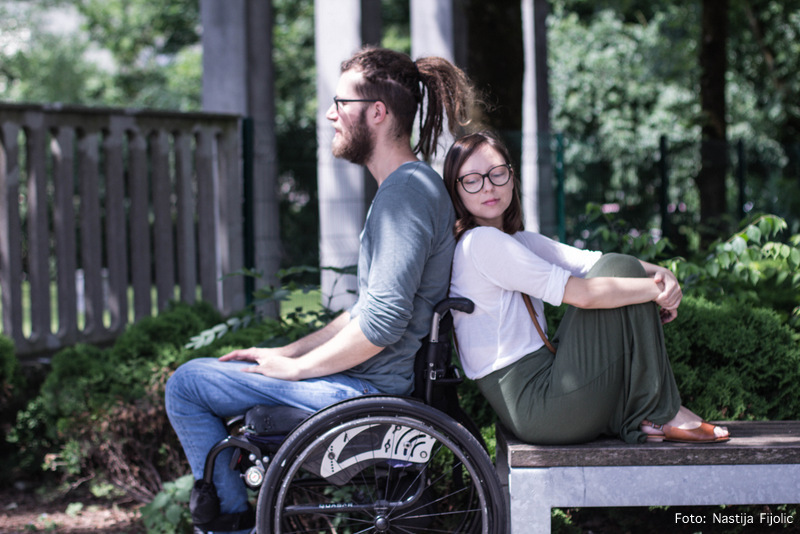 Wheelchair users can be active tourists as well and that is why we want to show you all current and interesting events in Ljubljana, that are friendly to wheelchair users. If you are looking for more things to do in Ljubljana check out the category DO. Being a paraplegic doesn't mean I can't travel anymore! Me and my wife Miranda still love to travel, even after my injury. But being a wheelchair user 24/7 means that for each trip we had to conduct quite a bit of research (is the place accessible, how to get there,…). To make life easier for other tourists on wheels (manual or power) we listed all truly accessible places in our beautiful town Ljubljana. © Ljubljana by Wheelchair. All rights reserved.